The 2016 summer picnic was held on Saturday 2nd July at the Hanwell Community Observatory, just north of Banbury in Oxfordshire. Christopher and Rowena Taylor kindly hosted the society in the delightful surroundings of Hanwell Castle where the observatory is located. The picnic took place in the beautiful grounds of this 16th century castle, where Christopher and Rowena were very kind to share sparkling wine with the attendees. Thirty eight SHA attendees and members of the observatory ate their picnic in the garden, sheltering from the occasional downpour under an awning. The food and drink was followed by a guided tour to the telescopes. There are three telescopes which are located a short walk from the castle. The Hanwell 30’’ Newtonian reflector is an impressive instrument. The 30’’ primary mirror has a focal length of 180 inches and an f/6 ratio. It is one of the largest astronomical telescopes available for public use in the UK. The Newtonian telescope has been designed and built by the community observatory with the public in mind. The John Wall refractor is a 30’’ f/12 refractor and is one of the largest refractors constructed by a single individual. John Wall designed and built this zerochromat dialyte telescope in a back garden workshop. Today it is the 5thlargest refractor in the world and the largest within the UK. The final scope we saw was the McIvor Paton scope which when operating is a 12.5’’ f/7 Newtonian refractor. The optics are kept indoors, but it can be set up and in use within a short amount of time. After the tour Christopher gave us an excellent talk about his recent trip around the Paris observatory. The Paris observatory was founded in 1667 and it has a long and impressive history. The Paris site was once central to one of the largest astronomical institutions in the world. 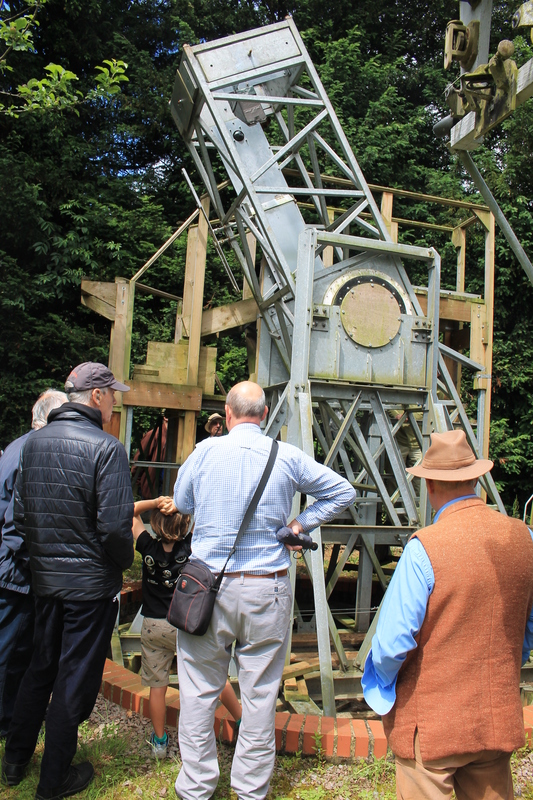 Images from his visit included the Meridian room, where you can see the Paris Meridian line, the interior of the remaining dome and many of the old telescopes which had been used at the site. There is much to see here and is SHA is putting together a visit to the Paris observatory in spring 2017 where people will be able to pay a visit to this site and maybe the sister site at Meudon as well. There is also a pdf showing more pictures taken on the day by M Leggett that can be seen by clicking the link below. Text and picture top left courtesy of C Kennett. This entry was posted in News on August 28, 2016 by societyforthehistoryofastronomy.